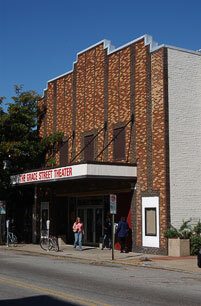 The Grace Street Theater houses the box office and stage for the Department of Dance and Choreography. The theater features a 225-seat venue with a specially designed stage floor for dance. VCUarts Cinematheque regularly programs and presents 35mm films at the theater. The facility also houses classroom space for the Department of Art History.